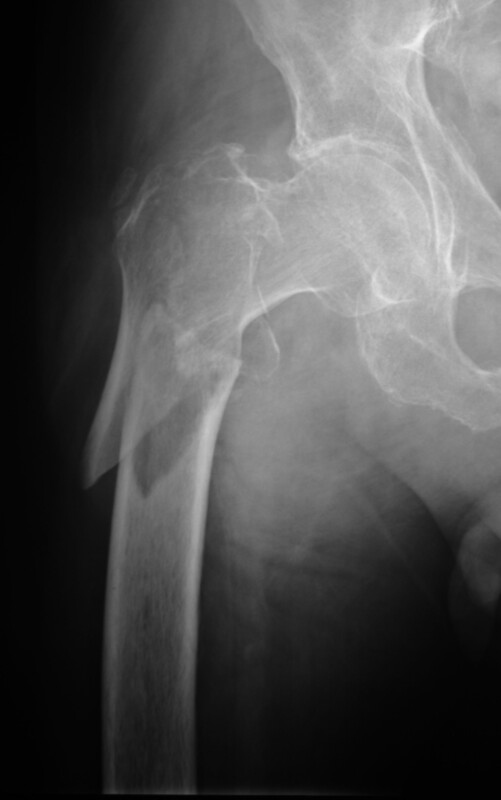 This 81 year old man fell and fractured his upper femur just below the hip joint. The fracture resulted in misalignment of the hip joint relative to the femur. 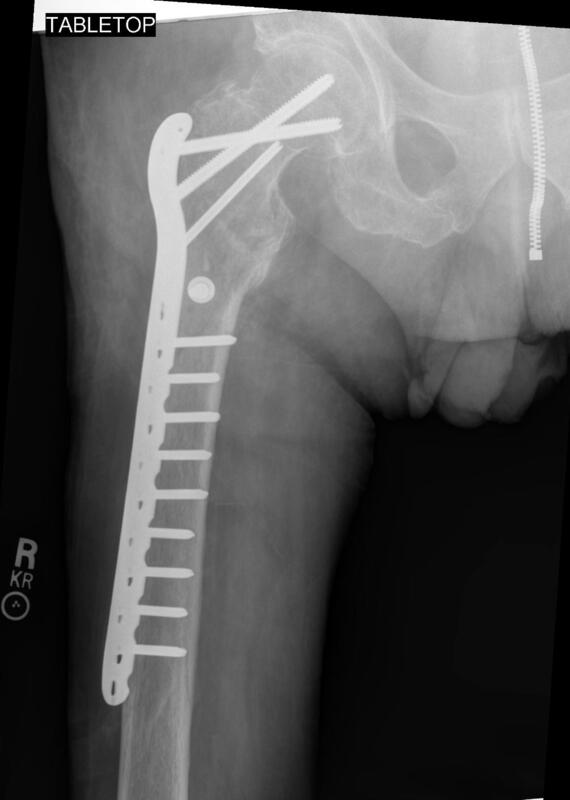 This x-ray taken 2 months after surgery with open reduction internal fixation with a plate and screws shows anatomic alignment with solid fracture healing. The patient had no pain in his leg and returned to walking with a cane.